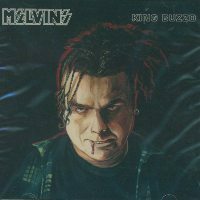 While you're at it, why not check out the original PROBOT-KING BUZZO's MELVINS solo album featuring songs written and performed with DALE NIXON (aka DAVE GROHL). Rock music so tasty you'll be licking your riffs for days. Originally released in '92, and a classic ever since. I probably could have done without this. I found it fascinating how they did a take on the famous KISS releases each having a cover of a different band member. Dave Grohl appears on here and the songs are quirky. Buy this E.P. first, then buy the Dale Crover E.P. I think they are both amazing and I like them equally. Buy the Joe Preston E.P. if you must own every single Melvins record. This shows how amazing Buzz's range is. The first song is a great rock song with amazing drums by Dave Grohl (Dale Nixon in the liner notes). The second song is a noise song. The third song is very light and soft. And the last song is a very fast and very heavy with a funny story that Dave Grohl tells.